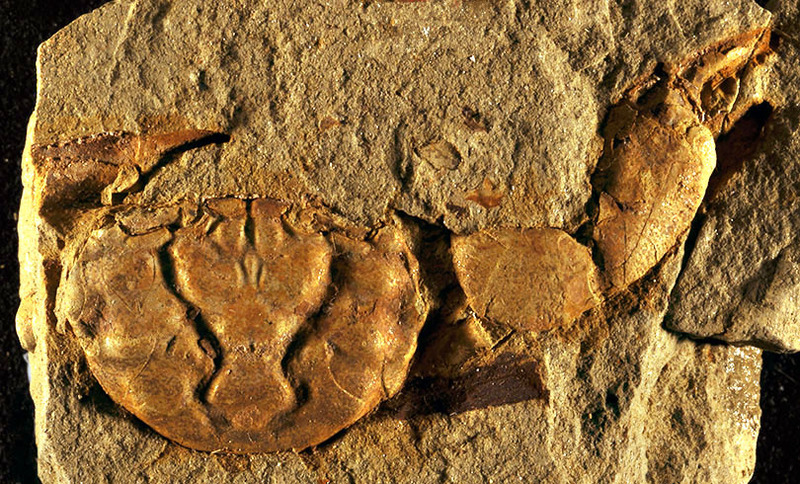 If a collector is fortunate, some localities yield a few fossil crabs. 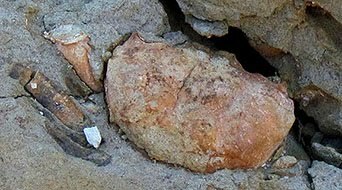 This post is about a species of crab, Orbitoplax weaveri (Rathbun, 1926) which can be found in Eocene (approximately 50 million year old) rocks on the west coast of the United States, from southwestern Washington to southern California. 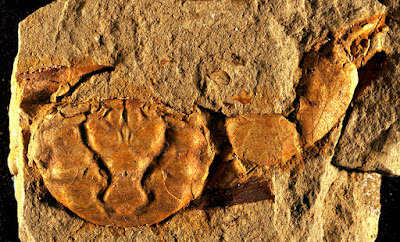 Orbitoplax weaveri is the updated genus name of this crab. It has been erroneously placed in other genera, thus in the older literature this species was called Plagiolophus weaveri and then Glyphithyreus weaveri. The main part (carapace) of this recently collected specimen is 22 mm (nearly an inch) wide. There are also parts of three of its legs on the left side of the specimen. The collector who found and photographed the specimen kindly gave it to me. 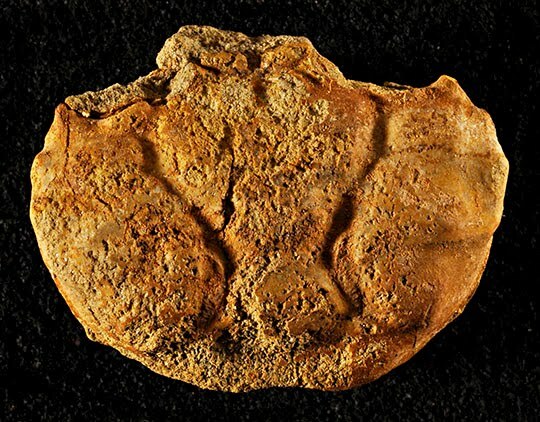 This is another picture of the carapace of the same specimen, after it was removed from the rock. This picture was taken under low-angle lighting to show the sculptural details. This is another and larger (main part 25 mm) specimen of O. weaveri, which I collected many years ago from the same locality as the one shown above. Its right pincher is intact. Also, a impression of the claw part of the left pincher is present. The total width (from left to right) of the specimen is 55 mm. Complete or nearly complete crabs like the ones shown above are typically found in silty sands, which were deposited under relatively quiet-water conditions. Just down section a few meters, there are storm beds with numerous Turritella gastropods, whose shells display preferred orientation caused by current action.